Admixed populations such as African Americans and Hispanic Americans present both challenges and opportunities in genetic epidemiologic research. Because of variation in admixture levels among individuals, case-control association studies may be subject to stratification bias. On the other hand, admixed populations also present special opportunities both for examining the role of genetic and environmental factors for observed racial/ethnic differences, and for possibly mapping alleles that contribute to such differences. Here we examined the distribution and relationship of individual admixture (IA) estimates with BMI and three measures of blood pressure in two admixed populations in the NHLBI Family Blood Pressure Program (FBPP): African Americans and Mexican Americans. For the African Americans, we observed modest but significant differences in average African IA among four recruitment sites. We observed a slight excess of African IA among hypertensives compared to normotensives, and a positive (non-significant) regression of African IA on blood pressure in untreated participants. Within Mexican Americans, we found no difference in average IA between hypertensives and normotensives, but a positive (marginally significant) regression of African IA on diastolic blood pressure. We also observed a significant positive regression of Caucasian IA (and negative regression of Native American IA) on BMI. Our results are suggestive of genetic differences between Africans and non-Africans that influence blood pressure, but such effects are likely to be modest compared to environmental ones. 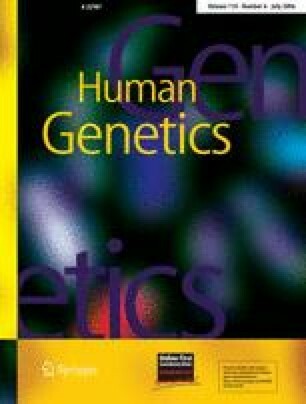 Excess obesity among Native Americans compared to whites is not consistent with a simple genetic explanation. This investigation was based on data from the Family Blood Pressure Program (FBPP), which is supported by the National Heart, Lung, and Blood Institute. All authors are members of the FBPP. HT is supported by NIH R01GM073059.